The Bible is the most important book in Christianity. The Bible is a collection of 66 books (for protestants) and 73 (for catholics) written by 39 authors over a period of 1,500 years. Christians (of the Protestant flavor) hold the Bible as their ultimate authority in all maters of faith and practice. Roman Catholics also hold to a high view of scripture but alongside it they place the authority of the church. Because the Bible is so important to Christians there is a lot of emphasis on reading and studying. But as long as you stay away from the few bad Bible translations you can’t go wrong. When I say “bad” I mean those done by individuals or small groups. These translations lack the sorts of checks and balances that come from a large diverse team. This plan is simple and popular. There are 1,189 chapters in the Bible and 365 days in the year. Read four chapters a day (technically 3.26) and you’ll get through the whole Bible in one year. I was able to find an NIV and NLT version. There’s also an audio version as well which is a nice segue into the next section. The book is so much better than the movie. Or so they say. For audio learners there is no shortage of Bibles. From Alexander Scourby’s sonorous tones reading the King James Bible to the fully dramatized NIV with orchestrated soundtracks. I would recommend that you get an audio version that’s available in AAC format (this is common for audio books). The AAC format allows you to pick up where you left off which is really useful when you’re trying to get through the whole Bible but want stop and start on your own time. For those who really want to take their Bible reading plan to the next level this is for you. This plan consists of reading 10 chapters a day. 1 chapter in Proverbs every day of the month. In the months that have fewer than 31 days double or triple up on the first day of the month. This will get you through Proverbs twelve times in one year. 5 chapters in the Old Testament per day. This does not include Proverbs. This will get you through the OT twice in a year. 4 chapters in the New Testament per day. This will get you through the NT six times in a year. There are a lot of diet plans. Many (maybe most) work. But the reason why the people who get on those diets aren’t fit and trim is because they don’t stick to the diet. Pick one of the plans above or come up with your own and then stick with it for the entire year. After all, whether you read the Bible all year or not the time is going to pass. You might as well put it to good use. The Bible is at the center of Christianity. 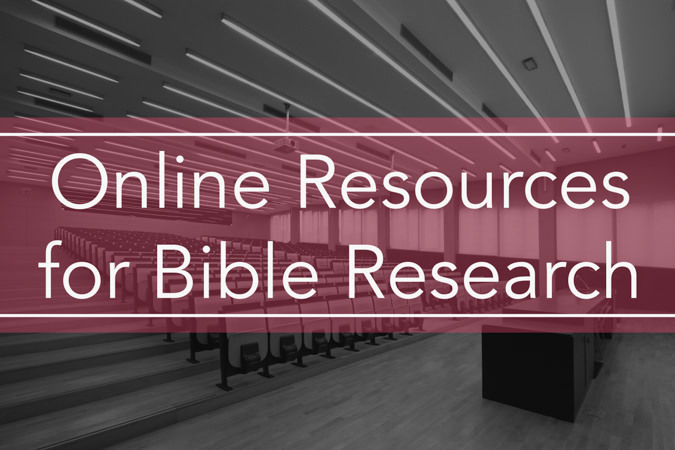 Bible research is, therefore, critical in the life of a Christian. It is a definitional document like the Declaration of Independence. When questions arise about Christian doctrine the protestant looks to the Bible. If one understands the Bible one understands Christianity. The Bible is a collection of sixty-six books. Understanding just one of these books requires bridging the historical, linguistic, and cultural gaps. Grasping all of them and their interrelations can be helped by online tools and resources anyone can access. History: The Bible is an old book. We don’t have access to the autographs (i.e. originals) of any of the books although many scholars agree we have the original wording. Language: The Bible wasn’t written in English. For most of us this gap is bridges by the fine work done by translators. Culture: The accounts in the Bible take places in a variety of cultures all of which are very different from ours. To understand it we must try to “think” as though we live in the culture in which the story takes place. These websites have been arranged according to their popularity as measured by their Alexa.com rank. Biblical Theology Journal (1,873) This ranking is skewed because it’s part of a larger website. Look at the Book by John Piper (2,987) This ranking is skewed because it’s part of a larger website. Institute for New Testament Textual Criticism (960) This is a German rank. Center for the Study of New Testament Manuscripts (109,694) This is a Japan rank. The Gutenberg Bible (3,953,716) This is a global rank. Do you have a favorite oxymoron? Many of us do. Some oxymorons are at the expense of someone else. Some are just plain funny (e.g. jumbo shrimp). Some oxymorons reveal cultural biases or trends in thinking we unconsciously adopt. Using “Christian education” as an oxymoron is like using “military intelligence” as an oxymoron. In both cases they’re done at the expense of their respective groups. What society considers to be an oxymoron reveals cultural bias. Over 4 million students (about 1 in 12) attend religious schools. This number may be a low estimate. According to the U.S. Dept. of Education, 35.9% of elementary and secondary schools in America are religious. Smaller class sizes make it unlikely that 35.9% of schools represents 35.9% of students. Even so, it’s not an insignificant number. 65.4% of Nobel Prize Laureates have identified Christianity as their religious preference. In fact, the Nobel Prize itself was established by a Lutheran, Alfred Nobel. Do these laureates simply divorce their religious preferences from their scholarly pursuits? Perhaps, but if religious education is contradictory, wouldn’t we expect to see a low representation within these noble (homophone pun intended) ranks? Galilei, Kepler, and Pascal were Christians. A long list of Christian scientists and philosophers can be found here. A comprehensive list would fill a book, maybe two. It’s commonly held that scientists (past and present) are usually unbelievers. This is demonstrably not the case. Some argue that the religious beliefs of past scientists were coincidental—mere accidents of historical congruence. Were scientists in the past Christians because everyone back then was Christian. It’s notoriously difficult to determine the true state of one’s beliefs. This is true even when the person in question is right in front of you. So it must be admitted that some who bear the “Christian” label in the past were likely not Christian at all. I asked Dr. Douglas Groothuis what he thought about this. He denied the caricature. He pointed out that the scientific advances they made were precisely because of their Christian worldview, not in spite of it. Scripture instructs Christians to study. God values wisdom and knowledge. Knowing Christ and having wisdom go together. Some may claim that the education the Bible recommends is religious in nature. 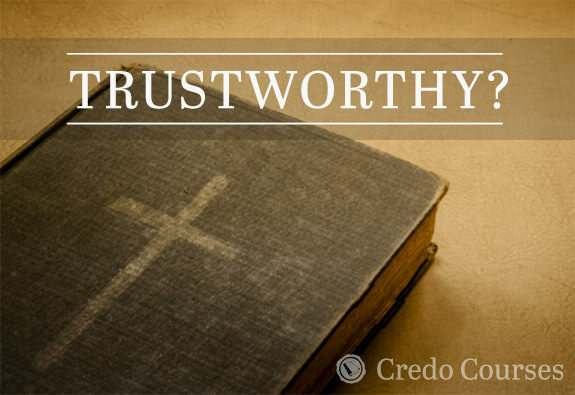 It’s certainly true that the Bible encourages its readers to know what they believe. However, this is not in conflict with education about non-religious topics as well. In fact, some of the greatest philosophers in history have been Christians. What about science? Isn’t the whole idea of miracles anti-science? Daniel 1:11–16 records the story of some “sons of Israel” who asked to be allowed to maintain a diet different from that of the Nebuchadnezzar. Daniel presents the idea (common enough today) of using a control group and an experiment group. Daniel and his friends would eat their own diet while the other young men would eat the King’s diet. After ten days the results were compared to determine which diet was superior. I won’t give away the ending, but suffice to say, Daniel appealed to the testability of a hypothesis, not to miracles. Christians founded three of the five wealthiest universities in the United States: Harvard, Yale, and Princeton. It must be granted that in large part these universities have diverged greatly from the vision of their founders. William F. Buckley’s God & Man at Yale published in 1951 gained fame for its criticism of the way Yale undermined the faith of its Christian students. 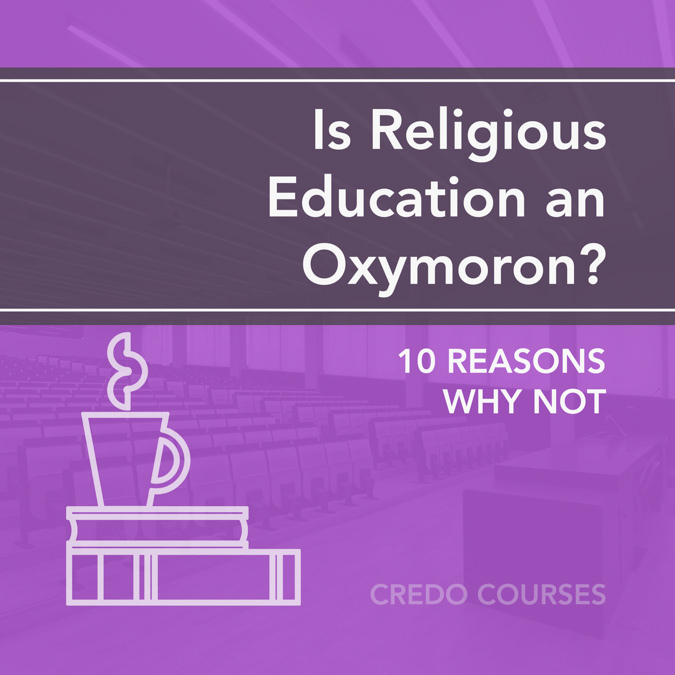 Modern apostasy aside, the question remains, why would religious people establish an institution of higher education if their worldview devalued education? Are you starting to see a trend here? It would be one thing if there were simply one or two outliers in religion who championed the cause of education but surely not this many? By now, the chinks in the anti-education assumption should be obvious. Christianity provides a firm philosophical foundation for education. The regularity of nature, predictability of cause and effect, and the belief that humans can understand the world are Christian beliefs that are necessary to justify the value of education. This is not a claim that those who hold to non-christian worldviews don’t value education. They certainly do. Rather, it is the assertion that non-christian worldviews must borrow intellectual capital from the Christian worldview to make their criticisms. The Bible warns against godless philosophy, but philosophy itself is not denigrated. In fact, the entire book of Proverbs elevates wisdom and knowledge to an extremely high degree. The history of philosophy is replete with great Christian thinkers. Even the Apostle Paul was not afraid to argue philosophy with the men in Athens. The Bible states that individual transformation comes through a renewing of the mind. This militates against the view that it is mere moral reformation that accompanies salvation. That’s not to minimize the importance of the ethical revitalization that comes with Christianity, but rather to point out that a Christian isn’t fully obeying God if they doesn’t love God with their mind. Two of the top five and seven of the top ten ranked universities (as ranked by the Academic Ranking of World Universities) were founded in whole or in part by Christians. This statistic makes a falsehood of the stereotype that Christianity is anti-intellectual, ethically medieval, and culturally backward. There are religions that don’t value education. Christianity isn’t one of them. Christianity is responsible for a disproportionately large number of the humanitarian advances in the history of civilization—in education, medicine, law, the fine arts, working for human rights and even in the natural sciences (based on the belief that God designed the universe in an orderly fashion and left clues for people to learn about it). A worldview which not only allows for but encourages the development of civilization cannot be called anti-educational with a straight face. The Bible is the most well attested ancient document of any religion. That’s not just hype. 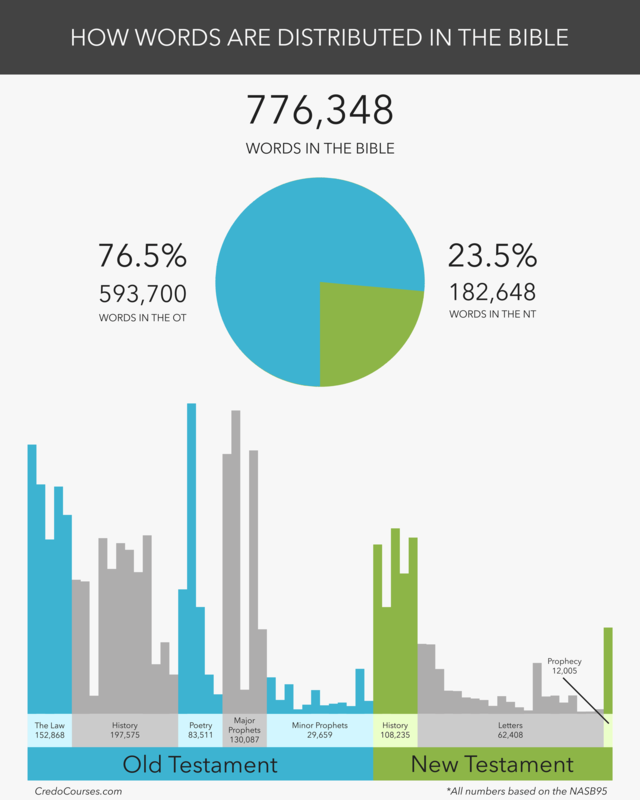 Both Christian and non-Christian scholars agree that [inlinetweet prefix=”” tweeter=”” suffix=””]the Bible has more manuscript support than any other book of antiquity[/inlinetweet]. However, just because a book was copied a lot in the past doesn’t mean we can trust it. Does it? 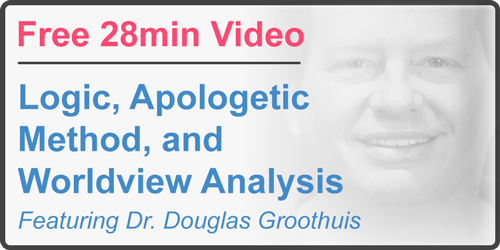 In September of 2014, Dr. Douglas Groothuis visited Credo House in Edmond OK. Over the course of three days he recorded 30 lectures for his course Christian Apologetics 101. When we finished filming the course itself, we sat down with Dr. Groothuis to ask him some of the most common questions apologist are asked and are asking. Well, the basic point is that the Bible is historically reliable. It’s not full of myths and legends. It gives a unified worldview. It provides meaning for every area of life. And we don’t have to take some blind leap of faith to believe that. [inlinetweet prefix=”” tweeter=”” suffix=””]The Bible is well substantiated by the evidence of history and also by the evidence of science and philosophy[/inlinetweet] because there is good independent reason to believe there is a creator/designer, God. The Bible affirms that. And in fact, given the human condition (the fact that we have guilt) the Bible explains that as the result of sin, and Christ provides the answer to that problem. It’s very clearly and systematically laid out in Scripture. So in the course, I develop a much richer more detailed argument for why we should trust the Bible; but it stands alone with respect to all the other holy books in the world’s religion as very well confirmed/verified, deeply enmeshed in history, and therefore something real that we can relate to and understand. What do you think about what Dr. Groothuis said? Does what he said make sense, or is it flawed? Because the Bible is so central to the Christian religion, it’s veracity is of upmost importance. Voice your opinion in the comments section below.